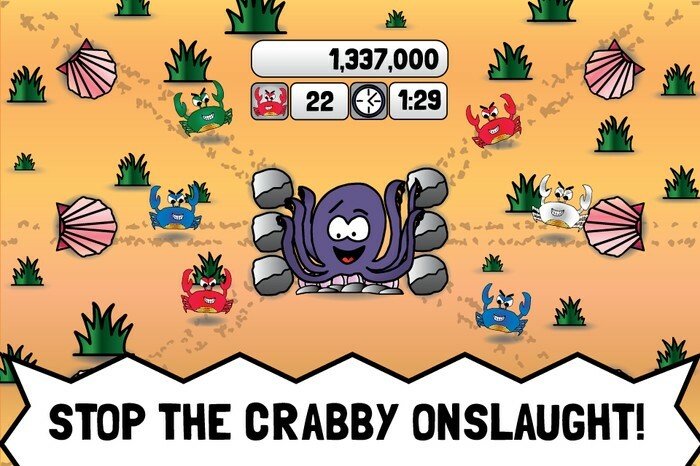 Use your tentacles to defend yourself against the crabby onslaught! 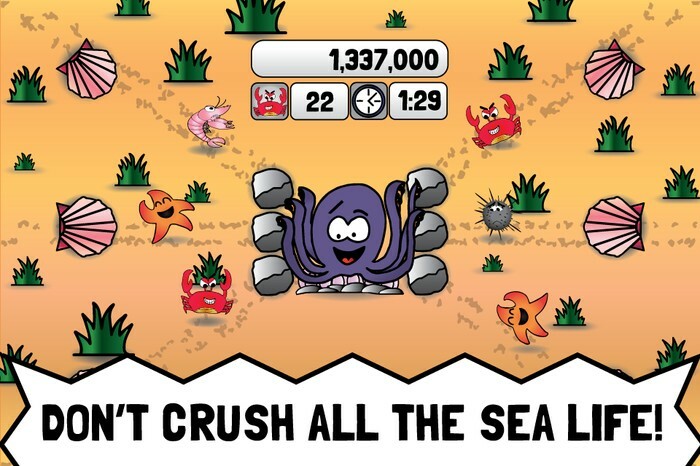 Being an octopus isn't easy, although nobody ever said it would be. 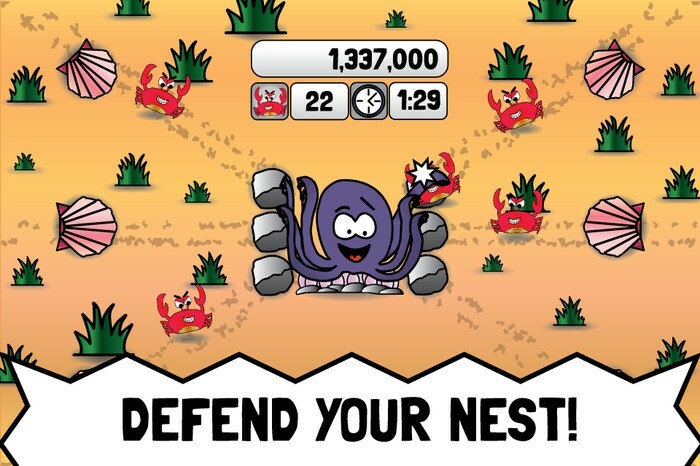 As a soon-to-be octo-parent of countless children, you must defend your nest from marauding crabs intent on whisking away your precious babies! 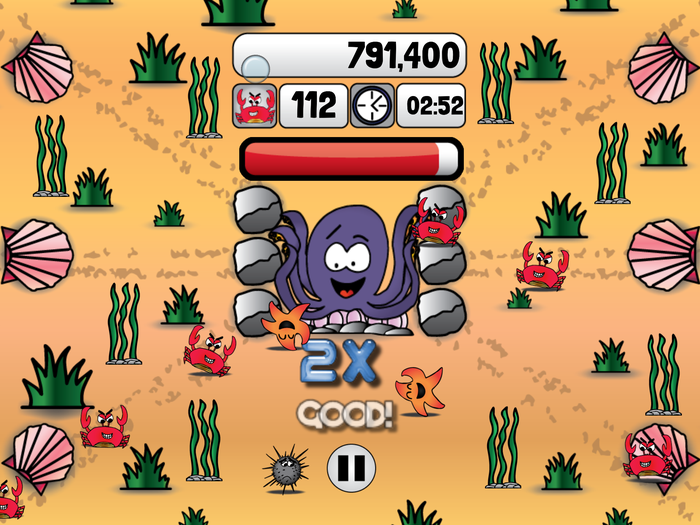 Crab Crush is all about timing, when a crab gets too close to your nest you have to smack him down! Attack when he's too far away and you will miss, too close and it's too late. Watch out though, there is other aquatic life bent on paying you a visit, so don't just go crushing everything you see. 4 different types of enemies to keep you on your toes..er, fingers?